Nolan Reid is one of those hockey players you don’t always hear much about, but every team needs to win. 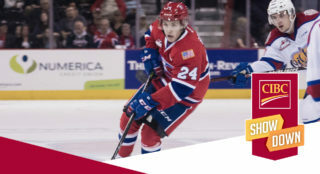 Reid is a durable defenseman who came to Spokane from Saskatoon in a mid-season trade two seasons ago and has been a steady presence on the back line since then. 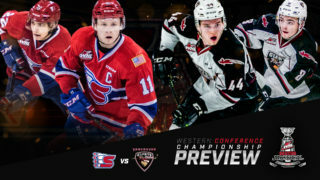 He played in all 72 regular season games last year, seven more in the playoffs and he is closing in on 300 games played in the WHL (277 including playoffs entering Friday’s contest at Swift Current). The trade in late 2016 wasn’t easy for him at first. His home in Deer Valley, Saskatchewan is only two hours from Saskatoon and his family was able to see every Blades home game. “That part was hard,” he said, “because I also had lots of close buddies who I had to leave. But once I got here, I was excited to get a fresh start and make new friends. 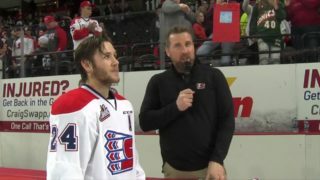 Reid had never been part of a WHL playoff team until last season, when the Chiefs lost to Portland in a wild seven-game first-round series that reached overtime twice. It was a huge learning curve for him, he said. 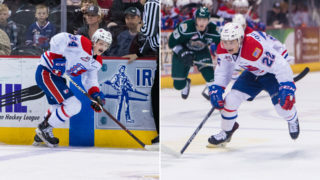 Reid had a breakout season offensively a year ago with 14 goals and 22 assists – including a six-game goal streak in October – but said that this year he wants to focus on getting better in the defensive zone. 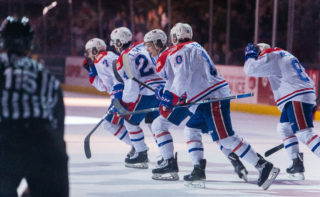 He doesn’t take his role as one of three overage players for granted, he says, because he knows how much the younger players look to the veterans as mentors and role models. 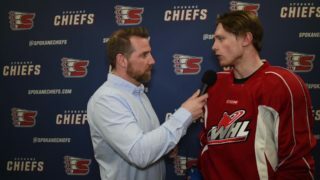 On the eve of the Chiefs’ departure for a six-game swing through the East Division, as one of seven Chiefs from Saskatchewan or Manitoba, Reid was excited for the opportunity he’ll have to play in front of friends and family again, only this time in a different jersey. Call it a homecoming on the road.